Guru Purnima 2013, Guru Purnima, Guru Poornima 2013, Guru Poornima, Vyasa Purnima 2013, Vyasa Purnima, Guru Purnima Date 2013, Vyasa Purnima Date 2013. Guru Purnima is celebrated on Monday 22nd July in 2013. Full Moon day during Ashadha month (Shukla Paksha, Bright lunar fortnight) is known as Guru Purnima day. Guru refers to spiritual guide who enlighten disciples by his knowledge and teachings. Guru Purnima is also celebrated by Buddhists in the honor of Gautama Buddha. Because Gautama Buddha gave His first sermon to Five Monks called the Dhammacakkappavattana Sutta, on this day at Sarnath, Uttar Pradesh, India. 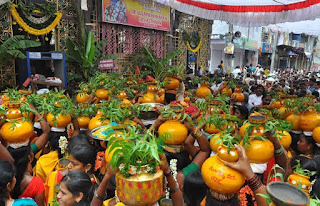 While Hindus celebrate it in the honor of the great sage Vyasa. The word Guru is derived from two words, 'Gu' and 'Ru' . The Sanskrit root "Gu" means darkness or ignorance. "Ru" denotes the remover of that darkness. Guru means one who removes darkness from ones life. Guru Poornima is a time for all sincere spiritual seekers to remember their spiritual purpose and rededicate themselves. The Significance Of Guru Purnima is connection with the guru tattwa or element. And this guru tattwa is power, not a person and guru is power. Guru Purnima Observed for en light the life. It is better to light one little candle in the darkness of our own heart than to search for the light outside. Guru Poornima is called the day of the Master but it is actually the day of the Devotee. Guru Poornima is New Year for spiritual seeker. Guru Purnima is about respecting guru's. Gurus are believed by many to be the most necessary part of lives. 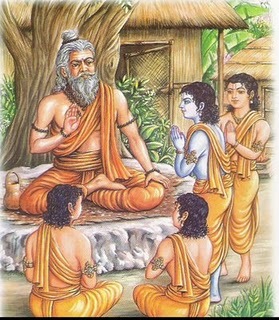 Guru also called as Teacher, Aacharya. Very nice. SRI GURU BHAGAVAN KI! Jaya!